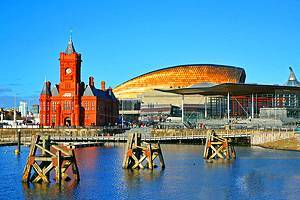 Cardiff, and capital of Wales, is an enticing destination with a modern feel. The waterfront area, redeveloped from the 1990s onwards, is home to hotels, restaurants, and shops making it a nice area to visit. The city has a number of noteworthy attractions, not the least of which are the Welsh Folk Museum, the National Museum of Wales, the Cardiff Castle, and the Queen Street pedestrian precinct. Cardiff also makes a nice base for those looking to do trips around South Wales. 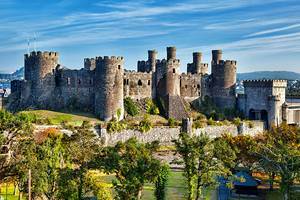 Just a short drive from Cardiff is the town of Caerphilly, with the 13th C Caerphilly Castle, which can be easily visited on a day trip. 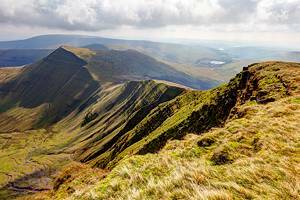 A little further afield, Brecon Beacons National Park is one of the countries natural treasures, with wild ponies, numerous trails, and Henryd Falls. 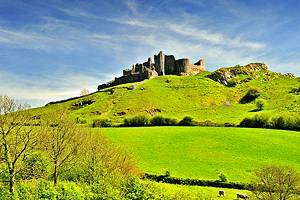 Take in the view over the park from the remains of Carreg Cennen Castle. Another historical town worth visiting is Pembroke, with the Norman Pembroke Castle. 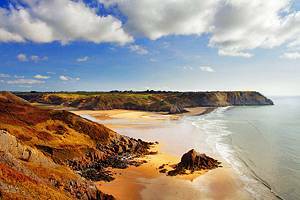 Nearby Pembroke Coastal National Park offers an excellent area for walking, with an extensive scenic coastal trail that leads past beaches and cliffs. One of the oldest towns in Wales, Swansea is an interesting place with some dramatic surrounding scenery. The town is known for its impressive gardens and parks, as well as annual cultural events. One of the highlights here is the covered Swansea Market, with all kinds of foods and wears. The Mumbles, an area of Swansea, features a promenade, pier, and entertainment area with restaurants and cafes. Beyond the Mumbles is the Grower Peninsula, a beautiful natural area with a few smaller towns and villages, wide stretches of beach that draw surfers, and farmland. The coastal resort of Tenby, which still maintains the old town walls, is another popular destination, particularly in summer. 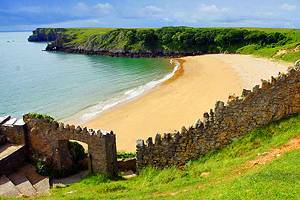 Just south of Tenby is Caldey Island, with remains of an old abbey, which can be visited on a boating excursion. 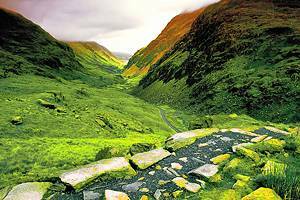 In North Wales visitors can experience the great outdoors in Snowdonia National Park. 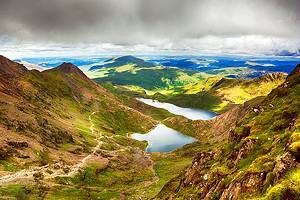 Walking and hiking are some of the best ways to see the park, but for a little more luxury, the Snowdon Mountain Railway also offers a scenic trip through the area. 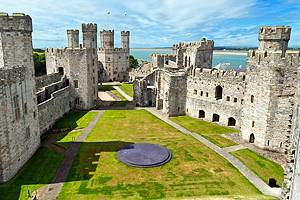 Another popular attraction in the north is the Caernarfon Castle, with roots dating back to the 13th C.